Guided visit to the not traditional MORAY circuit, a unique archaeological site. 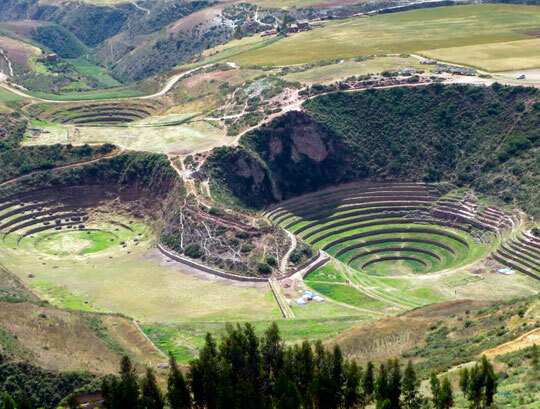 Moray is a place of depressions or natural gigantic holes in the surface of the area that were used to construct in its contours farming terraces or agricultural platforms with their respective irrigation canals. What calls powerfully the attention is the difference of annual average temperature between the highest areas with the bottom of the depressions, which manages to have even 15°C in the principal depression of approximately 30 meters of depth. 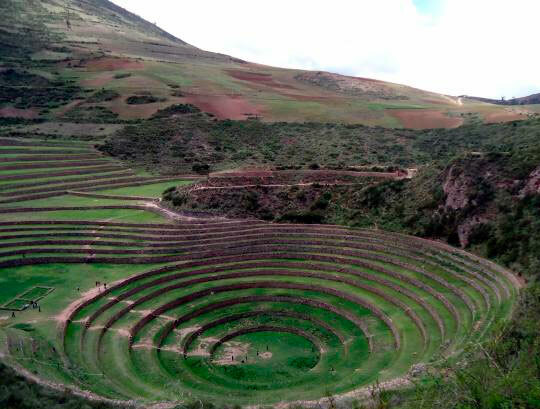 MORAY, for its climatic conditions and other characteristics, was an important center of domestication, acclimatization and hybridization of vegetable, wild plants that were modified or adapted for the human consumption. 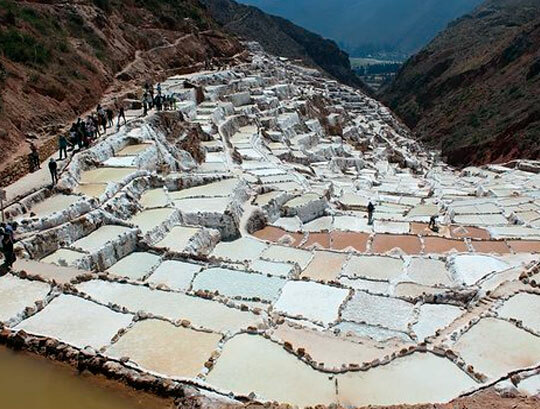 Then we will go towards the Salineras located at 7 km of Moray, we will pass a Typical Spanish Village called Maras. Towards the northwest of the village of Maras we can find the famous salineras known by some as " salt pans" there are constituted by approximately 3000 small pans by an average area of approximately 5 m ², constructed in a side of the inclination of the mountain of "Qaqawiñay", which during the epoch of drought "they" fill or "water" every 3 days with salty water that comes from a natural spring located at the top of the pans, once the water gets evaporated, the salt contained on them will gradually get solid. This process will continue approximately for one month up to obtaining a considerable volume of solid salt, of approximately 10 cms. of height from the floor, which later is struck and this way granulated; the salt will be pocketed later in costal plastic and sent to the markets of the region; today this salt is being iodized for what its consumption is not harmful. 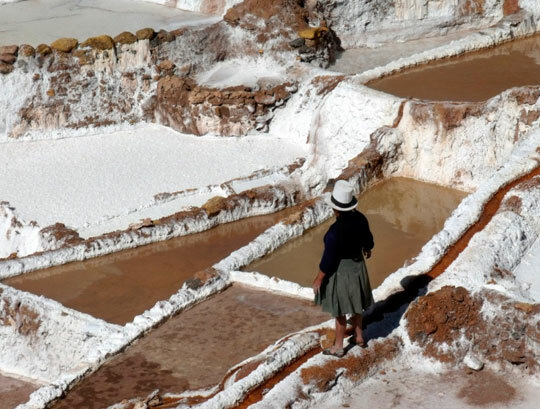 - Entrance Ticket to Moray & Maras.